Deejo is a beautiful, lightweight blade with tattoo-art design that you will want to use on the trail and everywhere else you roam. Back in 2010, French Luc Foin and Stéphane Lebeau, first crafted a beautiful ultralight pocketknife for the usual backpacking and hiking crowd. But they noticed that their loyal fans kept the sleek knife with them, and found plenty of uses for it, even when they were off the trail. So the epicurean duo came up with the idea of a functional art piece, a light, sturdy blade that users could customize to their fancy from one basic design. They wanted to make a knife that would be a personal statement, and a trusty friend. Deejo was born. So what’s so special about Deejo? That’s up to you. Thanks to an endless amount of customization options, you can create a truly one-of-a-kind knife. 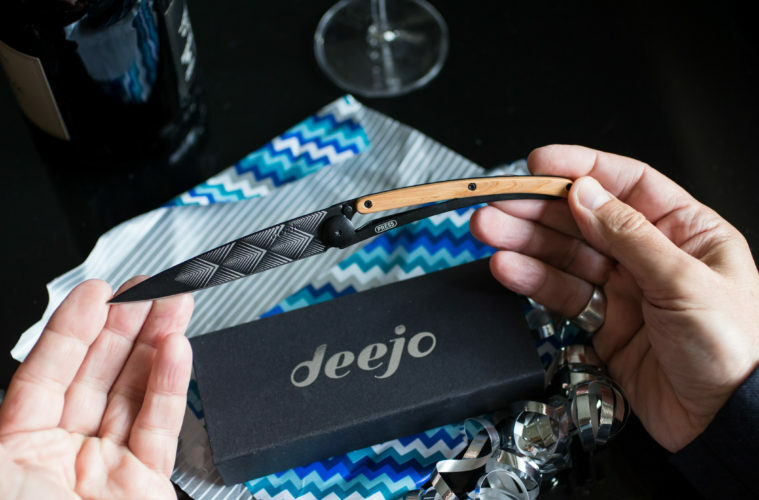 The online configurator, you can choose the size, the blade and the handle of your Deejo. No matter what blade you choose, the knife is feather-light. It’s available in 15-gram, 27-gram, and 37-gram lengths of seven, nine and 11 centimeters respectively (when closed). And Deejo’s handle doesn’t weigh more than the blade, a rarity in knife design. You also get to pick the finish on the blade. And you get to choose the handle material with options ranging from naked to wood to carbon fiber. Next browse more than 60 illustrations to tattoo your Deejo blade: The options run from dreamcatchers to Japanese-inspired illustrations to art-deco and outdoor-inspired drawings. 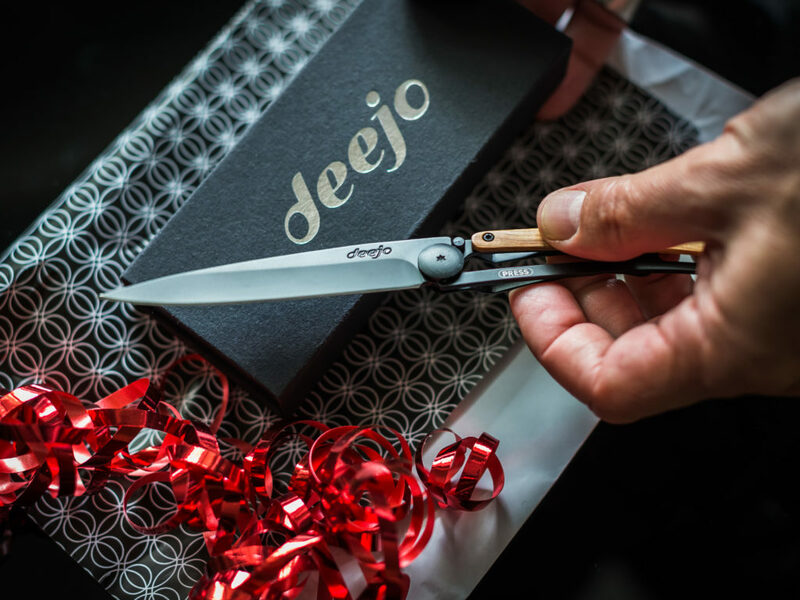 If you want to take the personalization options a step further, you can engrave a name, a private joke or a holiday note on the Deejo. Stéphane Lebeau tempers the passion of his friend. While Luc is impulsive, Stéphane is patient and rational. “I am a cold blooded mammal,” he likes to say. He leads product design and development with a pencil in hand and an eye for detail that complements Luc’s enthusiasm. Stéphane enjoys taking walks in nature, examining insects and carrying a Deejo with a juniper wood handle. Head over to My.Deejo.com now to discover and create the perfect Deejo for your unique personality.